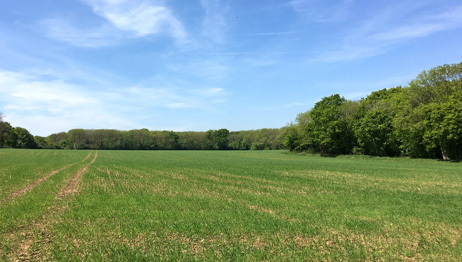 A rare opportunity for you to own a parcel of land within a much sought-after area of Surrey with a significant need for housing. Totalling just under 20 acres, the land is for sale freehold as a whole or in lots suitable for a variety of uses including amenity / recreational use or paddock conversion. Description: An excellent opportunity to acquire land in the vicinity of Gatwick Airport with potential for development or parking. Description: Plot with planning permission for a 5 Bed 5 Bath 4000sqft detached house in large mature plot. In quiet private residential road. 10 min walk to West Byfleet Station. Land for Sale in South nutfield. Redhill. Description: Dropped kerb access from road to the land. This land is close to the village,station and shops. Close proximity to the M23/25. For details telephone. 01425 622567. Description: A prime plot of 52 ft frontage and dept of 193 ft in one of Surrey's premier villages. Currently contains a bungalow spread over two plots which will be divided. Full planning consent granted. Description: 0.55 acre plot in highly sought after and convenient location with opportunity to purchase a c. 5700sqft house off plan (price includes build). Retainers fee required. Description: 9.5 acre site in highly sought after village location with PP for a 5000sqft+ house. Retainers fee required. Description: Site with positive Pre application for a 7 apartment scheme. Offers. Retainers fee required. Description: Building with consent to convert to 7 apartments & 1 bungalow. Retainers fee required. Description: Replacement building and demolish workshop to rear to form:- A1 retail unit 40m2, two bedroom house, 2 x two bedroom flats, 1 bedroom flat, studio flat. Retainers fee required. Description: Site with pp for 4 bed end of terrace new build. Retainers fee required. Description: Secluded building plot with pre planning approval for a large sized family eco-home in prestigious semi rural area of Caterham Valley. Retainers fee required. Description: Plot with consent for detached 4 bedroom house within plot of 0.6 of an acre. Description: A VALUABLE AND WELL SITUATED PARCEL OF PASTURE LAND WITH ROAD FRONTAGE AND ACCESS ABOUT 11.78 ACRES (4.76HA). Description: 7007 Nr Tadworth. Plot of approx (STS) 0.18 acres with DPP for 3 bed detached house and parking. Retainers fee required. Description: 0559 - 0.34 acre site with PP for 2 x 4 bed detached houses in mature residential area. retainers fee required. Description: Back garden building plot with outline planning permission for a 3 bed detached chalet bungalow. Plot has 36m road frontage and a depth of 19m. Sloping site. 5 min walk to British Rail station. Description: Planning to convert existing 3 bed detached house into two semi-detached properties by demolishing existing garage. New property will be 4 bedroom.